Add finesse and comfort to your sanctuary with KFI's Oversized Church Chair with Arms. 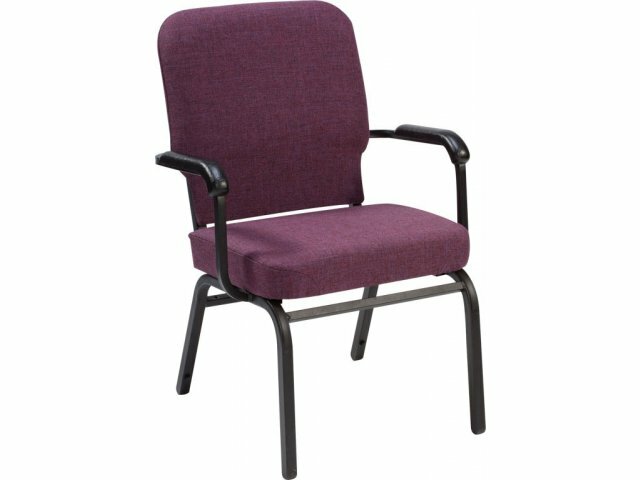 These church chairs feature roomy seats, extra-thick padding and super-durability, making them a first-class choice for any congregation. A generous seat size and wide spacing between the arms give these church chairs an unusually spacious feel. The 18-gauge steel frames have a super weight capacity of 500-pounds, and feature under-seat stretcher bars for added strength. Built-in lumbar support helps prevent the knee and back pain that can occur from prolonged sitting. Stacking bumpers and floor glides protect chairs and floors from scratching. Available in a beautiful choice of upholsteries and fabrics, these oversized church chairs with arms will enable you to seat your congregants in comfort and style for many years to come. 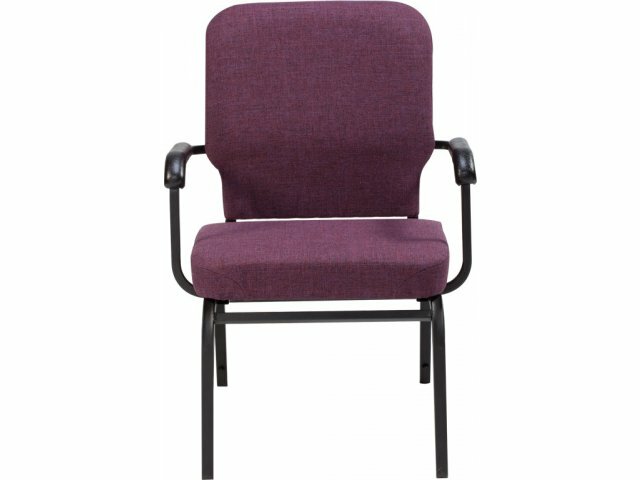 Extra Roomy: Generous, 21"W by 15"D seat and padded arms with a wide, 22-in span make these church chairs extra roomy and comfortable. Thick Padding: Extra-thick 3.5 inch seat padding provides a luxurious feel. Super Strong : One-inch, 18-gauge built-to-last steel frames feature under-the-seat stretcher bars for added strength and durability. 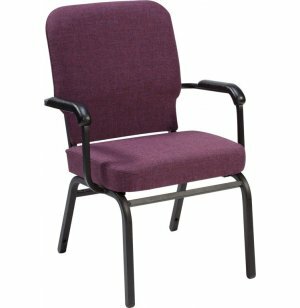 Geriatric Support: The arms provide extra support for elderly people when they stand up from the chair.